Totepool betting explained: What is totepool betting and how does it work? Covering the first six races of every British meeting, gamblers select one or more horses in each race. If only one horse is selected in each race then they pay the stake once, let’s say £2. In this case if they are successful, they will receive two times the final dividend amount. This is calculated and announced shortly after the sixth race and based on a £1 stake. If you choose more than one horse in a race, the stake multiplies accordingly. So, if the gambler would like to pick two horses in race one and perhaps three horses in the final leg of the bet, the equation would be 2x1x1x1x1x3 meaning a total of 6 units, or 6 times the original stake. If successful, the punter will receive a payment based on how many multiple lines they have actually won, times their stake. For the bet to be successful to any level, horses must be ‘placed’ in each race according the normal rules of racing. So if there are 1-4 runners then the horse must win, 5-7 runners the horse must finish in the first 2, 8 runners or more in the first 3 and then in the first 4 of a handicap race with 16 or more participants. This works in the same way as the Placepot, but covering races 3-6 inclusive. It can also be added to a Placepot bet, meaning if either of the first two legs of the Placepot have been unsuccessful, you will still be in with a chance of winning the Quadpot. A again this bet involves the first six races of a meeting pre-selected British meeting each day. Only this time, the participant has to pick all six winners. The meeting in question will be nominated by the Tote and is usually the meeting with most runners and with the hardest races to solve. Should there be no Jackpot winner anywhere in the country, the pool rolls over into the following day’s Jackpot bet. This bet is identical to the Straight Forecast offered by other bookmakers. The gambler has to pick the first two horses in a race in the right order. The dividend depends on how much money is in the betting pool for the race in question. This means it’s sometimes lower than the forecast but occasionally significantly higher. This is essentially the same as a normal Tricast bet. The gambler has the task of picking the first three horses in the correct order. 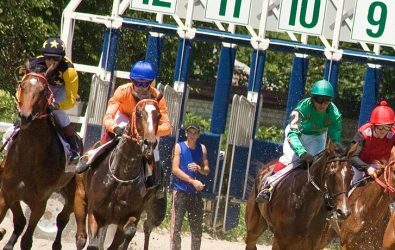 The Tote will not usually nominate races with small fields for Trifecta bets, as it becomes increasingly easy for gamblers to predict the first three. Depending on how much money is in the pool and how many people are backing it, a horse will have a Win or Place dividend. This dividend includes the usual £1 stake. If you place a £2 bet on a horse showing a price of 3.46 and it wins, you will be paid out to the amount of £6.92. The place dividend is naturally a lot lower than the win dividend. Scoop 6 works in the same manner as the Jackpot but as a separate bet to it. It also runs only on Saturdays or on busy Bank Holidays. The six races in question are split over different racecourses if necessary, with the hardest races to predict the ones nominated by the Tote. There are more rollovers in the Scoop 6 than in the Jackpot. Therefore, sometimes winning dividends are incredibly high. They can be into the hundreds of thousands of pounds with the scheme also offering a win bonus. The winning punter or syndicate will be given a bonus race to predict the winner of the following week. A further amount will go to them if they get it right. The races chosen are very often large field handicaps shown on terrestrial television. Offering pool betting instead of fixed odds is a nice alternative. It’s something the betting public love when they actually go racing on course. Many see pool betting as a fairer way to bet. This is because casual punter won’t usually go in depth to work out a traditional bookmaker’s overround (their guaranteed profit). Therefore, they sometimes see a horse’s price going down, believing they are not getting the right value for money.